I am looking for a volunteer SINGERS, HIP HOP ARTIST, POET & OTHER PERFORMANCE for photo shoot Saturday, JULY16th at 4:00PM in CLIFTON. I wish there was more I can offer you but this is a great event and movement for countless innocent lives stolen by a reckless drivers especially to be a voice for the victims who were murder/killed. I do not have a budget for this but I am hoping I can work something out for PHOTOS l. I am passionately volunteering my time as a friend of someone involved in this movement. I am a strong advocate for human life justice and its cause. 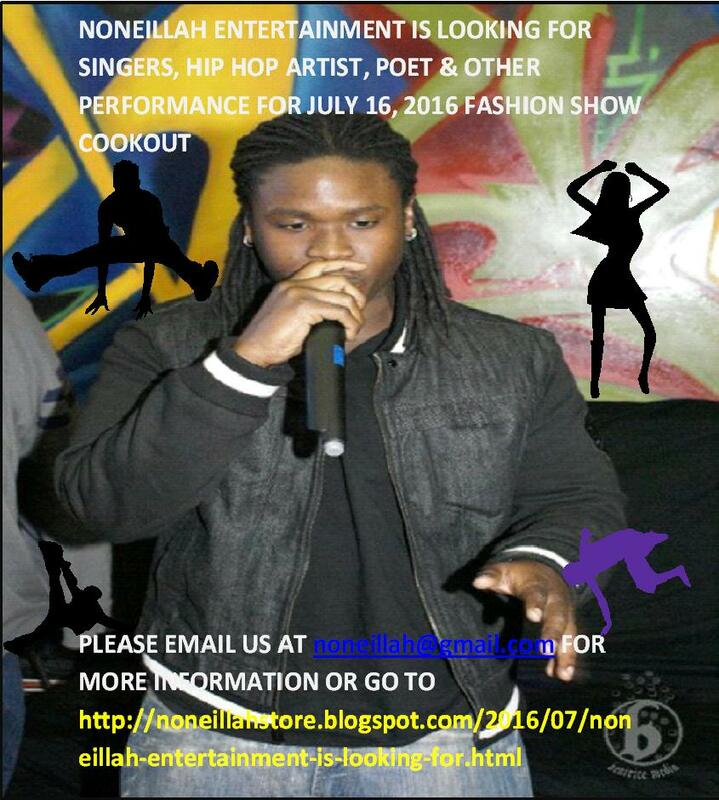 The Deshon Johnson College Scholarship Foundation non for profit is looking for amazing singers, artist, dancers, poet and hip hop artist to come in for the Raising Awareness for Deshon Johnson and Others Who Were Killed By A Reckless Bus Driver event in Clifton NJ on Saturday, July 16, 2016. The event will highlight all those lives were killed by NJ Transit/Coach USA reckless Drivers and raising awareness on the high percentage of lives killed from deaths in this manner. Noneillah is looking for support from all walk of life especially from human right advocates, musician and the hip hop artist community! Deshon aka Sean Cos Mason was a prolific lyricist hip hop artist in the hip hop community. Throughout the day, the DJCSF and Noneillah Committee will like to include different performers who will help with a strong campaign for this cause of raising awareness for their annual remembering those lives taken by a reckless bus driver at DJCSF event 2016 videotaping. To learn more about the foundation and the cause you can Google its name. For exposure and building up your portfolio.